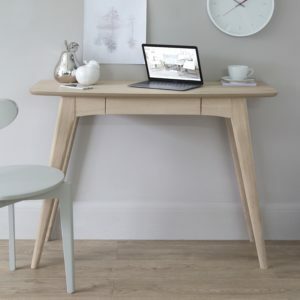 If you’re fed up of having to clear a space on a counter or balance everything on your lap when you want to get some work done, then you’ll definitely want to consider a home desk! 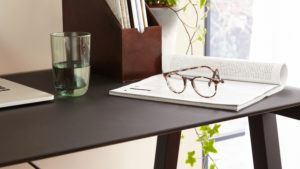 Our collection of minimalist but designer desks are perfect for creating a handy and stylish study space for your home. In this guide, we'll give you some tips and tricks on how to choose the right desk for your home. You'll finally have a handy workspace to call your own! 1. What size desk do I need? You'll also want to make sure you're sitting at the desk comfortably. You don't want a chair that's too high or a desk that's too low, so once you know the height of your desk, you can measure this against your chair to make sure the two pieces work together. All of our dining chairs are a great match with the desks, so it's easy to find a stylish pairing! 2. Where should I place a desk in my home? If you have a home office then this will obviously be where you're desk will live. However, that's not to say you can't have a desk if you don't have a separate room. You just need to be a bit more creative with your placement! If you work from home or are planning on getting some serious work done at your desk, then it's probably best to place it away from the busiest areas of your house, such as your kitchen or living room. However, if you're planning on using it for some downtime on your laptop then these rooms will be just fine. The great thing about our range of desks is that their streamlined sizing means they're big enough to work at but slim enough to make use of smaller, previously unused spaces. 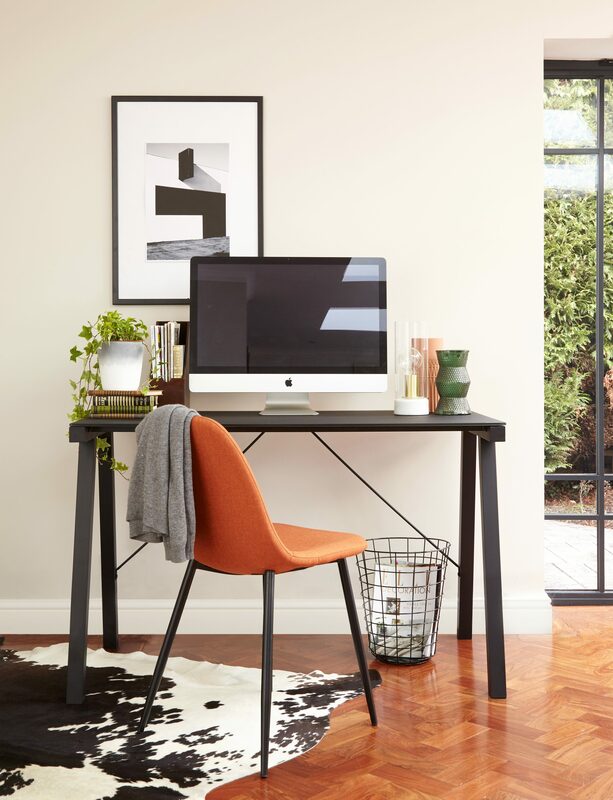 How we've styled the Trestle desk above, for example, shows how you can turn an open space into a sleek workstation. 3. What can the desk hold? If you need a desk to hold a computer and miscellaneous items, you’ll need to check how much weight the surface can hold. If you’re planning on using the surface for just for your laptop and a couple of books, then most desks will be perfectly fine. All of our desks have a total weight bearing of 100kg. Top Tip: if the desk itself doesn't have much storage space, consider making use of the area around it. 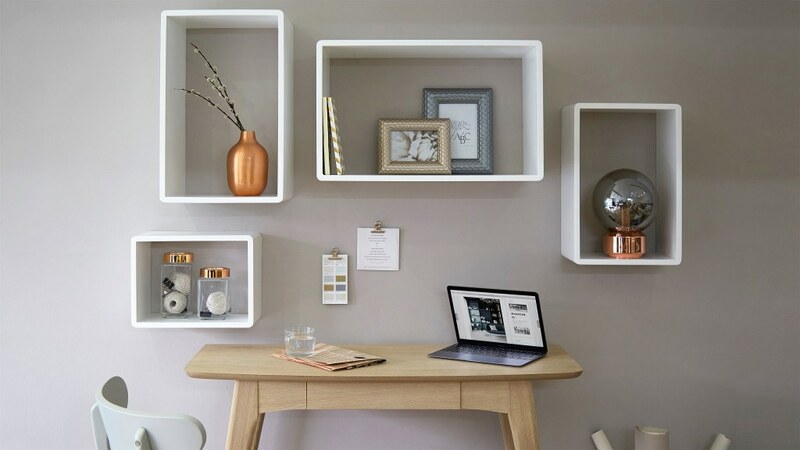 For example, you can stack boxes and dividers underneath your desk for neat, quick and easy storage, or use your wall space by adding some sleek shelving units. They make seem like minor details but this can make a world of difference if you'll be using your desk regularly. 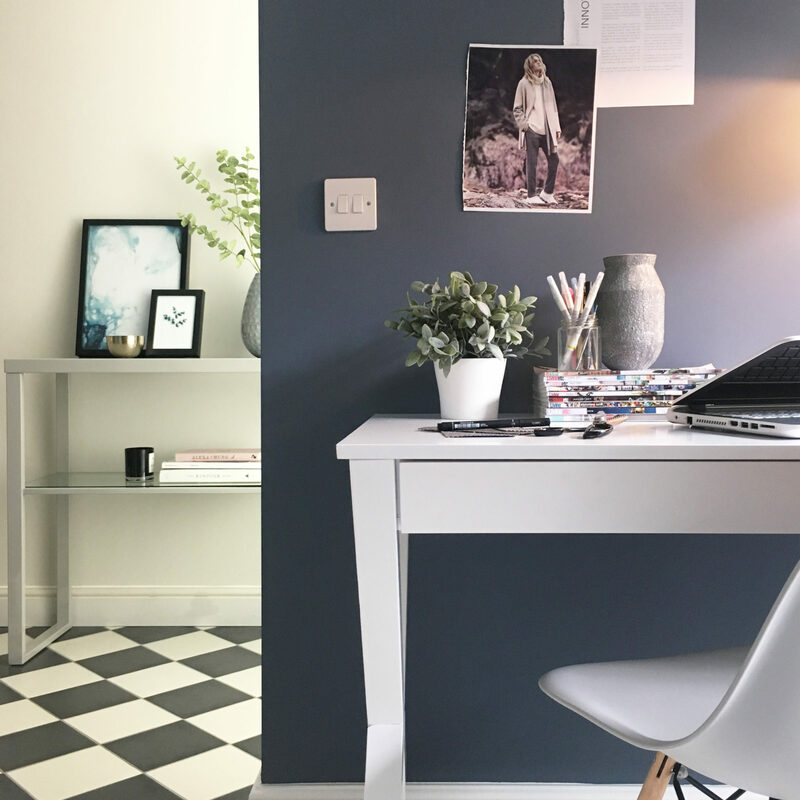 A great alternative to white gloss, a matt white finish will give your study space a fresh look just without the reflective quality of a gloss finish. Matt white is ideal if you want a more subtle take on a contemporary vibe. As with gloss, it's best to wipe up any spills immediately by using a soft microfibre damp cloth, without applying too much pressure. We’d strongly advise against using harsh chemical based cleaners as this will damage the material finish. After cleaning, give the surface a quick wipe over with a dry cloth to remove any moisture from the surface. Natural wood desks will give your study a warmer and slightly more traditional look, but that’s not to say it has to look old-fashioned. Pair a wooden desk with some chrome stationery pieces or a colourful desk chair to update the look. To clean a wood veneer desk, dampen a non-abrasive lint-free cloth and move in the direction of the wood grain. For more stubborn marks, apply a dab of mild dishwashing detergent to your cloth. Never use wax-based polishes or cleaning products on your wood veneer as these are designed for raw solid timber rather than veneers. Use coasters every time you place hot or cold drinks on the surface as this will give the veneer an extra layer of protection against general wear and tear. We’re big fans of a white gloss finish, and looking at a piece like the Fern white gloss desk, it’s very easy to see why! Other than being an incredibly easy way to update the look of your interior, the white gloss will keep your room feeling modern and fresh. Because white gloss is so neutral, you can style it alongside a whole variety of colours and finishes making it incredibly versatile. A more subtle take on a white gloss finish, a grey gloss desk will bring a lovely shine to your space accompanied with a hint of warmth. Like white gloss, grey gloss is great for styling alongside a wide range of finishes. 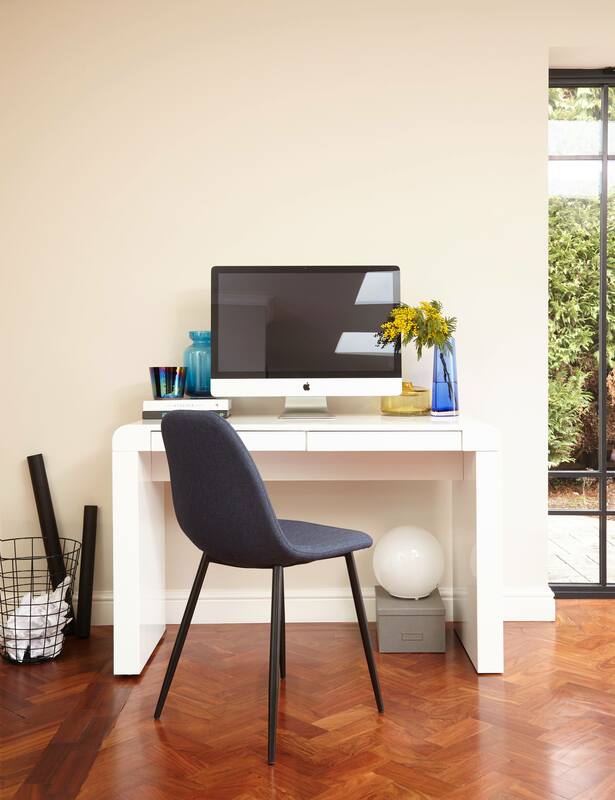 A grey gloss desk will instantly give your study space a designer look. To clean your gloss desk, use a soft microfibre damp cloth, without applying too much pressure. After cleaning, don’t leave the desk to air dry. Instead, we suggest giving the gloss surface a quick wipe over with a dry cloth to remove any moisture. Avoid throwing things down on the desk, especially sharp objects such as keys as this will scratch the surface. A bowl or stylish dish is perfect for placing on the desk to prevent marks and minor scratches. If you’re after something to really impress friends and family when they check out your new home office, black tempered glass would be a great option. Safe, strong and durable, forsted black glass isn’t your typical desktop finish but it certainly does the job- and does it well. 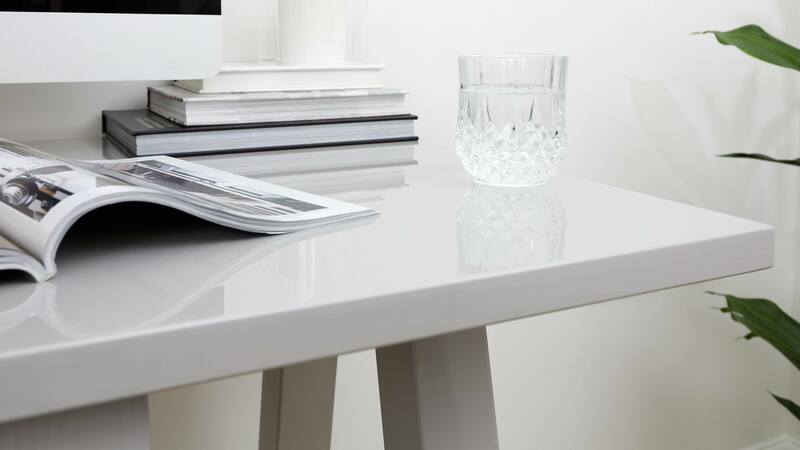 A glass finish works incredibly well with a design like the Cavour desk as it’s in keeping with the clean lines and streamlined shape of the desk. This great thing about a glass desktop is that you can use antibacterial sprays, even ones that contain bleach, as the glass is nonporous. You can also use a specific glass spray, such as a window cleaner, to protect the surface from smears using a lint-free cloth. Don’t leave the table to air dry after cleaning because if left, the soapy residue can leave stubborn watermarks and avoid placing abrasive materials on the table as this will scratch its beautifully smooth surface. Most things will be fine but objects with a rough underside could leave a mark if dragged. The streamlined shape of the Cavour makes it ideal for smaller study spaces as it both physically and aesthetically takes up less of your room. Here we’ve styled the Cavour with the Zilo chair in russet orange to add a pop of colour alongside a comfy place to sit. If you need a little more storage space but still don’t want your workspace to take up a lot of your room, the Trestle is ideal. 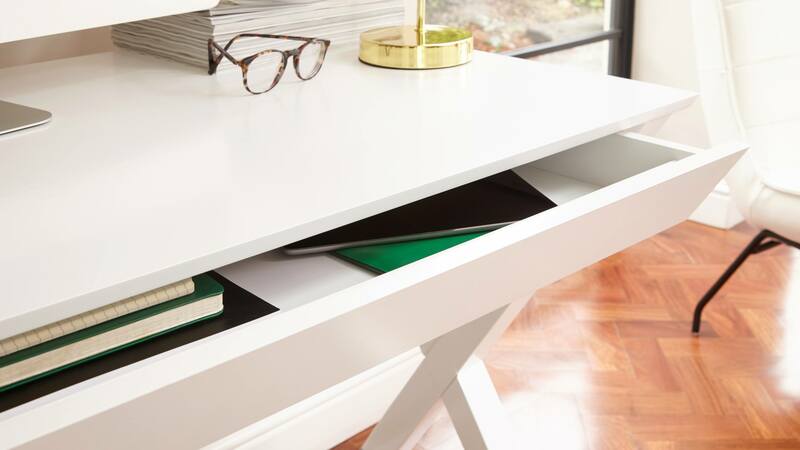 This modern desk has a handy drawer so you can tuck away your keyboard or stationary items. However, it maintains a sleek shape. Here we’ve styled the Trestle with the Ida dining chair. 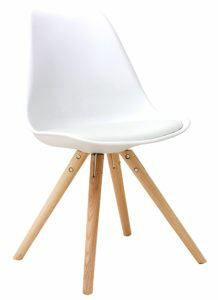 The wooden legs add a touch of warmth and while the PU upholstered seat keeps it comfy. Slightly chunkier in shape, the Fern is a simple but really effective way to transform an unused spot into your new favourite study corner. Having solid legs creates a neat space under the surface to stack and store various books and boxed. This is perfect if you’re a little pushed for room. 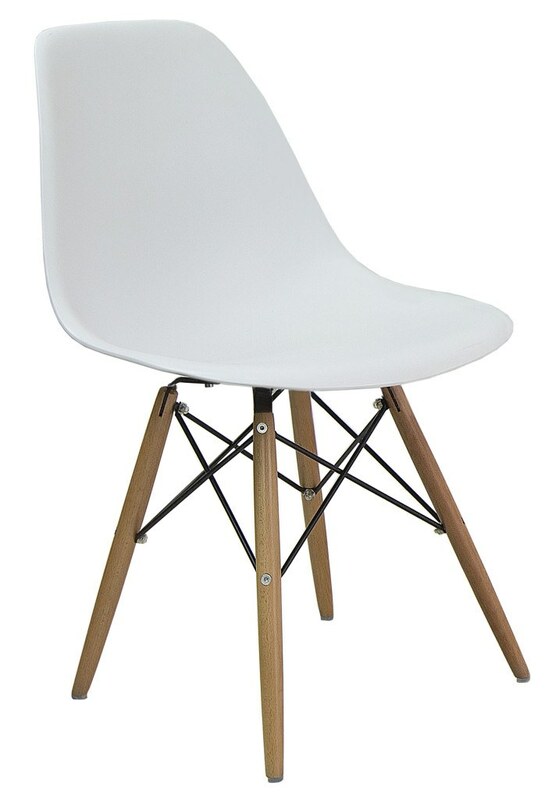 Pair a white gloss piece like the Fern with a colourful dining chair for a really on trend impactful look. Already have a Danetti Desk in your home? We’d love to see! Share your picture on our Facebook and Instagram pages with #mydanetti for your chance to be featured on our page! Look 1: Cavour Black Glass Desk - A Grown up, Executive Space Ideal for those who juggle commuting to the office and working from home. May we please introduce you to our stylish, new Cavour Black Glass Desk. Finished with a matt black glass top and slimline leg, the Cavour is perfect for any home office or corner workspace. We've styled the Cavour Black Glass Desk with an indulgent concoction of leather, marble, glass and brass. Resulting in an air of sophistication and tranquility. 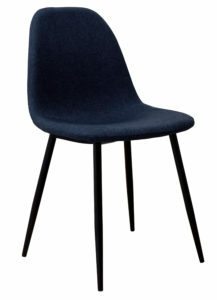 Why not add our Zilo Fabric Dining Chair, creating a comfortable and relaxing home office. Make working from home not feel like work at all! Playing off the graphic lines of the frame, we’ve used geometric shapes in a sophisticated palette. Taking inspiration from the warm teak floor we have kept the accessories simple, playing with luxe heritage colours and textures. Adding in a desk lamp into a decorative grouping will soften the look and create a more mature, executive feel. 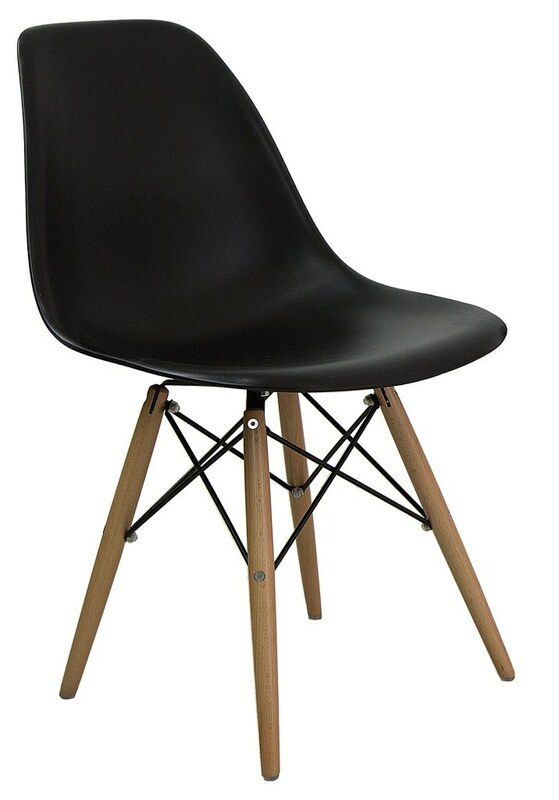 We have chosen to use the Zilo Dining Chair as the black base looks great with the matt black leg of the desk. 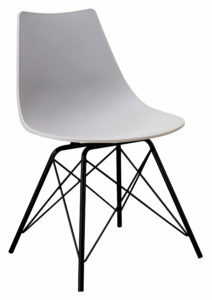 Another great alternative you could is our Delta Dining Chair. The Eiffel leg of the Delta mimics the cross bar of the desk creating a coordinated feel. 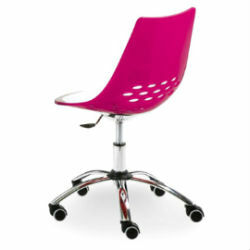 Both chairs are available in a range of colours to suit any mood. We have used the Orange and Grey to show you different looks. To make your work space more transitional and comfortable, try creating a reading corner with our Drift Occasional Chair. Especially important for when you need to take a break for that necessary work / life balance! 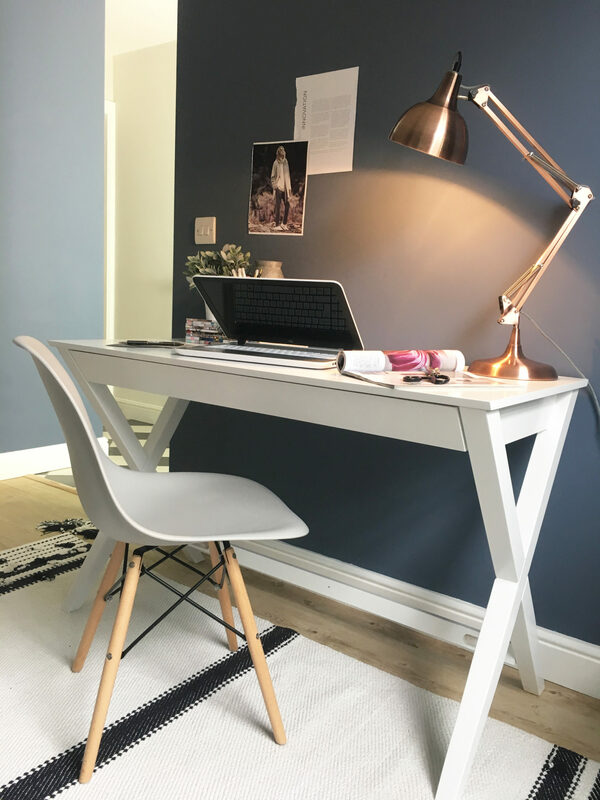 Look 2 : Trestle Matt White Desk - Contemporary update on the classic trestle style Ideal for families to share for homework and working from home. 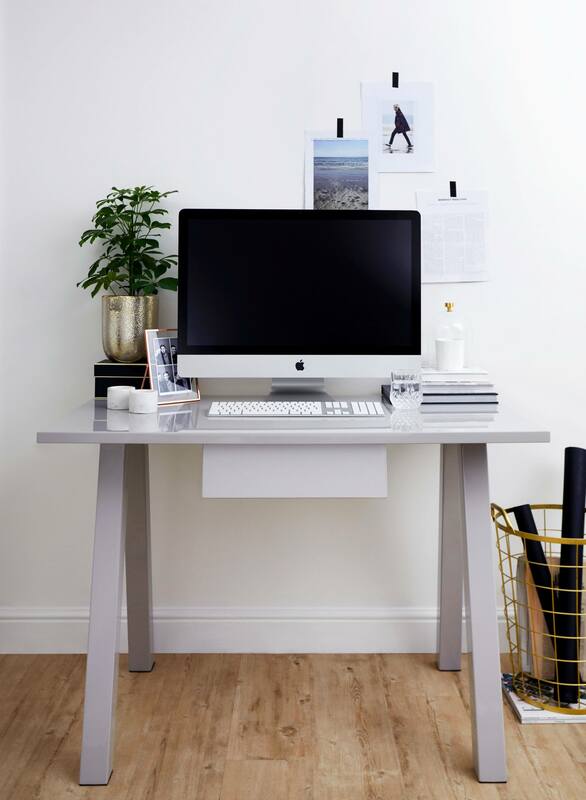 If you prefer a more minimalistic and clean work space then look no further than our new Trestle Matt White Desk. Featuring a contemporary update on a classic Trestle style leg. 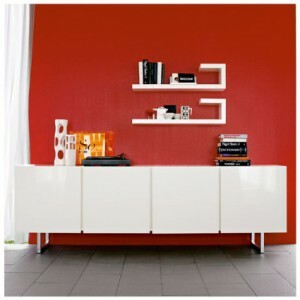 Whats more, the Matt white finish is so versatile and will work in any existing decor schemes. Incorporating the drawer to sit flush with the leg keeps the lines compact and creates a beautiful silhouette. 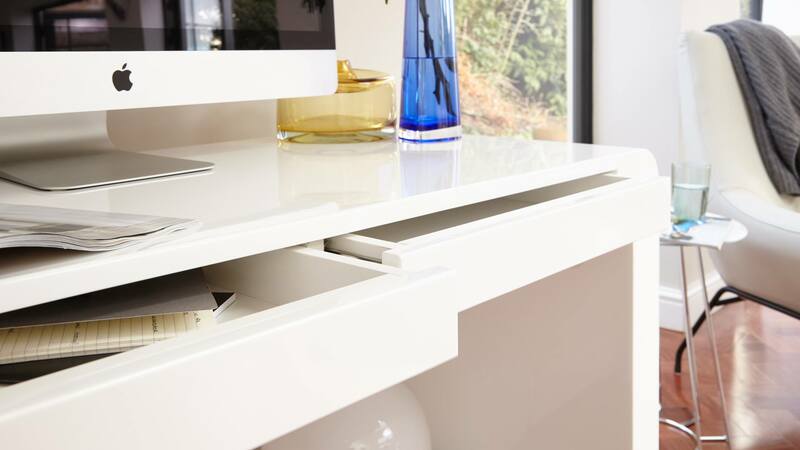 The single full length drawer is then perfectly concealed within the matt white top, helping to keep all that unwanted clutter away… Tidy desk, tidy mind!! We have opted for a minimalist story balanced out with a touch of brass. By keeping the colour pallet neutral the Trestle desk will sit perfectly in any existing home office or the corner of a busy family room! 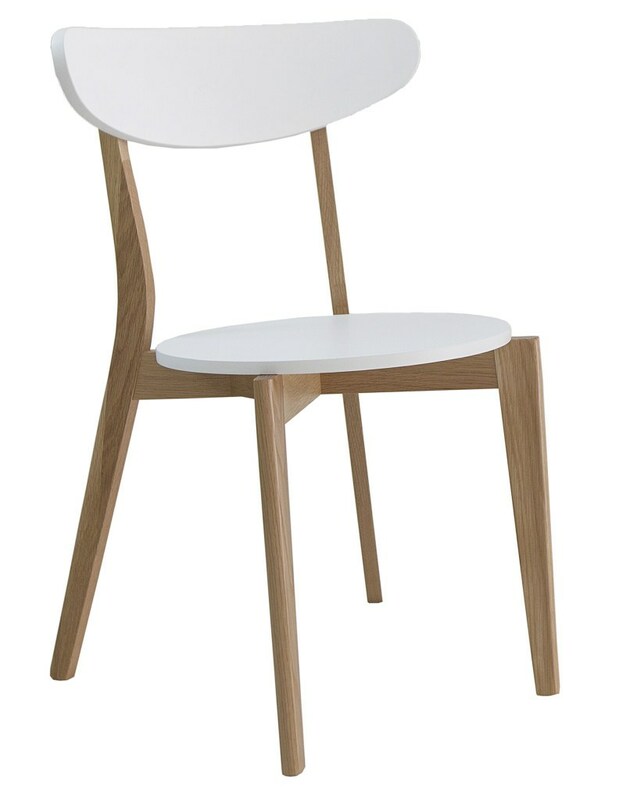 Using the Ida Dining chair we create a modern scandi feel. While the wooden leg adding warmth against the matt white finish of the Trestle desk. 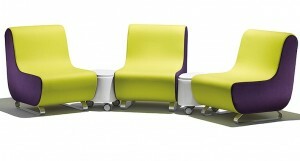 The padded seat also offers comfort for prolonged homework sessions! 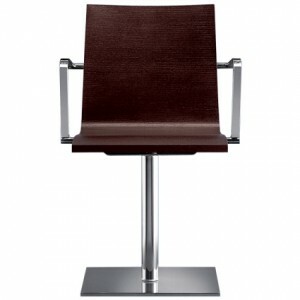 The Stylo Dining Chair is another great alternative, with the chrome base complementing the trestle leg and offering a more contemporary and modern scheme. Stack up your favourite pile of magazines that you cannot bring yourself to throw away for a quick burst of inspiration. Or perhaps even for a little read while you take a break from working. And don't forget to add a touch of greenery, keeping the air cleansed and your focus sharp! Ok, you got me. 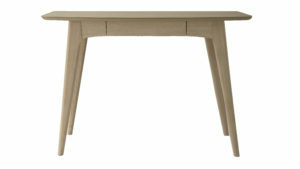 So the Fern White Gloss Desk may not be new, although it has long since been a favourite in our range of Fern products. We have given the Fern White Gloss Desk and update, inspired by the recent trend of jewel tones. Showing you how to bring the trend to life without cracking out the Mulberry Purple paint! 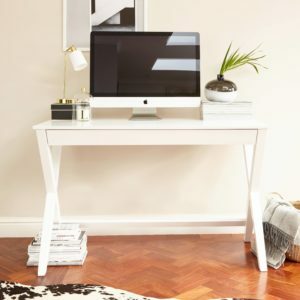 The chunky legs and curved edge the Fern White Gloss Desk brings drama and visual impact to any space. We’ve used a complementary palette of Blue and yellow glass to reflect beautifully in the high gloss finish of the desk. The fresh mimosa is a tease of approaching spring season, while the enlarged leaf print in a blue hue pulls out the colour in our accessories. As a result, we've created a colourful and inspirational work space. The Ink Blue of our Zilo Dining Chair helps pull this tonal look together and add a touch of comfort! 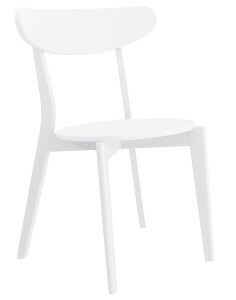 On the other hand, try using our new Finn Dining Arm Chair. The bucket style seat cradles you while you work- so comfortable you'll never want to leave your desk! 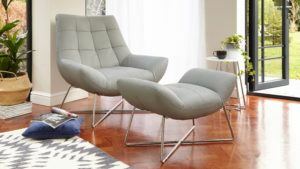 For when you’ve finally had enough working, take time to relax in the Canio Occasional Chair and matching foot stool. The soft grey leather ties in nicely with the blue, white and yellow colour scheme. All the while offering a quiet space to wind down. Chuck on your favourite knitted throw, and you have created the perfect work space! When it comes to choosing your desk chair, always go for comfort. You’re more likely to work well if you are comfortable, so go for something with good amount of padding, or you can add padding to. Maybe even look at a chair with a bit of spring in the back. Although we say tidy desk, tidy mind, that doesn't have to mean draws (more out of sight, out of mind!). Draws will always help you hide all of the junk, but why not go for some coordinated desk accessories? These will help you keep organised and show off your favourite accessories! A notice board or wall collage will instantly create a feeling of a workspace and activity, and is a great place to keep all your inspiration and notes, clearly stating “this is where I work”. 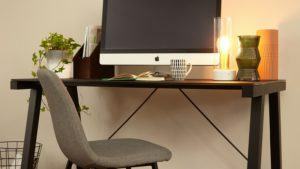 If you're a bit of a hoarder and need to optimise space on your desktop, swap out a desk lamp for a floor lamp. By choosing one which can be angled, you can spread light wherever you need it most and keep your desk clutter free! If you're tight on space and don't want your home office to take over a room, then opting for a desk with drawers is a wise move. An open plan home office is a great thing to have. However, if you want to keep the area spacious as possible, then choose dining chairs which double as a desk chair. When thinking about the perfect spot for your home office lighting is very important. If you spend a lot of time at your desk, position it in direct daylight to soak up all of the vitamin D! You may also want to angle your desk to face into a room, rather than looking at a wall. Top Tip: If the desk is used by a teenage, try the opposite to minimise distraction! Always. Have. Post-its. If you are prone to forgetting important information, like picking up the kids from karate or calling your mum back, then post-its are a lifesaver! Have a stack in arms reach at all times, weather this is at your desk or around the house, or even in your pocket. That way you cannot go wrong! Make sure that whether you have an office room or work in the corner of the kitchen, give yourself designated ‘me time’. This will be where you can close off and spend at least 30 minutes to clear your mind and focus. There is nothing less productive than being interrupted every 5 minutes, so give yourself the time and make sure everyone knows it! 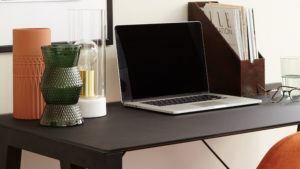 These are our Top 3 Home office accessories that are the must have buys to compliment your desk area. If we must be working at home, we need all the stuff, right..? Desk Bin – Not the most fun purchase but kind of essential, especially if it’s a homework desk. House Plant – Something living gives any space, especially as desk, a feeling of life and energy. We love a succulent or an ivy for their low maintenance credentials. Wireless Keyboard and Mouse - If you’re not working on a laptop, to avoid too much cable clutter go for wireless accessories. They are inexpensive and as a result, enable you to clear the desk when you need to. Let us know what you think of our new Desks and if you have any top tips for your perfect Home Office. While you're at it, take a look at the rest of our desks right here. No home is complete without a home office. But what if you are short on space? At Danetti we are always offering interior design tips to customers regarding their purchases and helping them choose the right products for their spaces. 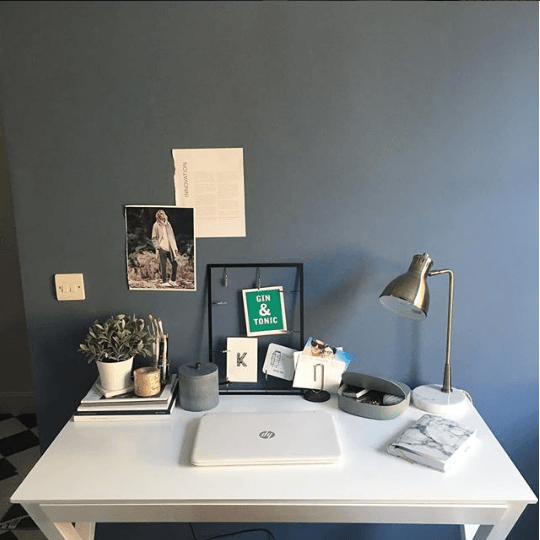 So, we thought that having just launched our new Scandi desk, we would suggest some specific home office design ideas for small spaces. Helping you create a perfect spot for at home. It may be that you have a spare small room that can be your dedicated office space. Or perhaps it’s a case of trying to find a small space within a larger room. Either way there will be a solution! 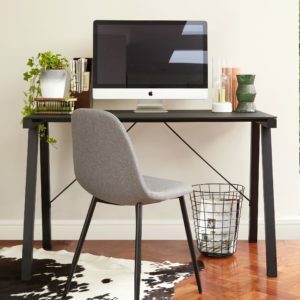 If you are looking for home office ideas, some home office furniture or maybe you just need some help with your home office styling. We’ve come up with a variety of looks for you to try which will help you when designing your small home office. We will be showing you colour combinations and a few furniture choices for the ultimate home office. The first thing that you need to think about is what sort of space you want? Do you need storage? If you need a full size desk for a Mac you’ll need a desk top width of around 125 cm wide. Bear this in mind when you are looking to slot a desk into a certain space. If you only need space for a small laptop, then you’d need something much smaller. 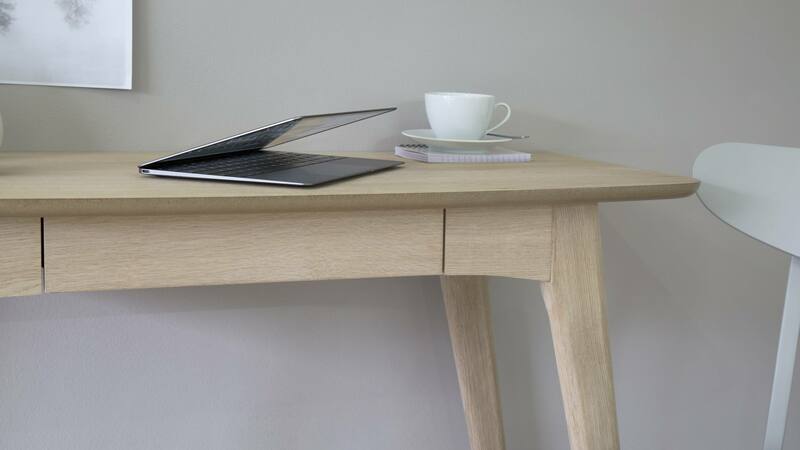 The Scandi desk is 105cm wide and provides ample space for small devices. Don’t forget - you don’t have to have a desk, it could be that a small table will suffice. Once you know how much space you need, you can start to look around your home with fresh eyes. If you don’t have a study and you are looking for a space saving solution, look again. Could that wasted under stairs space become an impromptu home office? If you know someone handy with jigsaw, ask them to craft some shelves and a desk top out of MDF to fit the space perfectly. Add a few filing drawers, a desk lamp, notice board and a desk chair. Hey presto- you will have created an ideal home office in no time! Perhaps you could put that wide alcove in your bedroom to better use? Why not put up some shelves within the alcove area from head height up to the ceiling. Find a good fitting narrow desk that fits snugly within the space. Add a chair and your laptop, some magazine files and desk lamp and look at that - an instant pop up office. Or, may the empty deep cupboard in the hallway, currently cluttered up with coats and skateboards be just enough space for a small desk and some shelves? If you take the door off you could make a perfect perch and with some office style inspiration, turn it into a little work hub! Whatever you decide you’ll be surprised at how easy it can be to find the perfect nook! 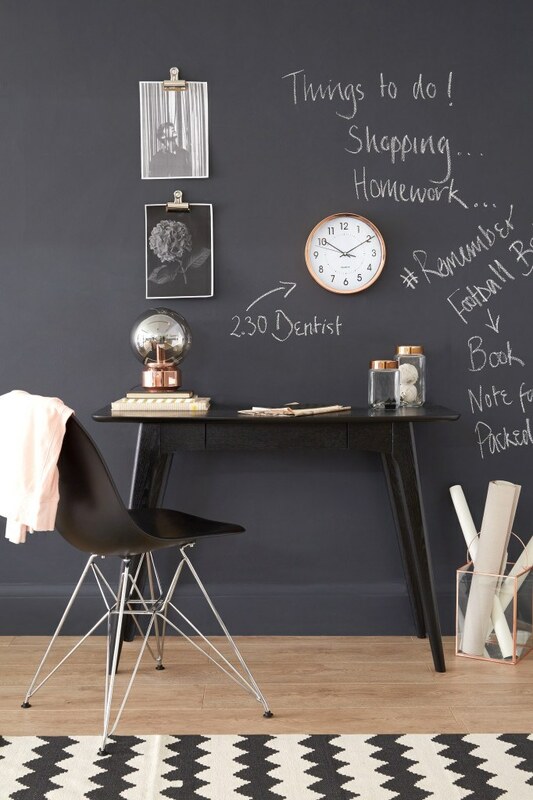 Putting your mark on your home office will need some interior design inspiration. 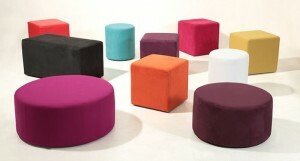 We came up with a few ideas recently that work really well colour wise that could be adapted for smaller spaces. So if you are integrating your home office into an existing space then it might be best to co-ordinate it with what’s already in the room. Just to ensure it blends well with the scheme. On the other hand, if its a room on it’s own or a little contained area - then you can be brave with colour and make a feature of it! Have a look at some of these ideas for some real home office design inspiration! You can create a mood for your home office space with colour. Whats more, depending on where in your home it is, you can style it to blend into a room or be bold and let it be a feature in its own right! Store some basic office supplies (stapler, paper clips, sellotape etc) in a drawer or in a box or a jar. 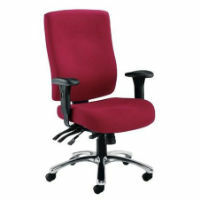 Make sure you have a chair to suit your needs - it’s important to be comfortable whilst at your desk. Include something inspiring, stimulating or motivating in your desk set up - it could be a quote you love or an image of something that spurs you on - it will help you keep you going! Invest in task lighting - you will definitely need a desk lamp or some form of lighting for your office space. Create a ‘work’s over now’ ritual! Working from home can make it difficult to switch off. Most importantly, make sure you close the door, draw the curtain, turn off the desk lamp or simply just shut the laptop. Whatever you do, turn your back on the home office when the work is done! 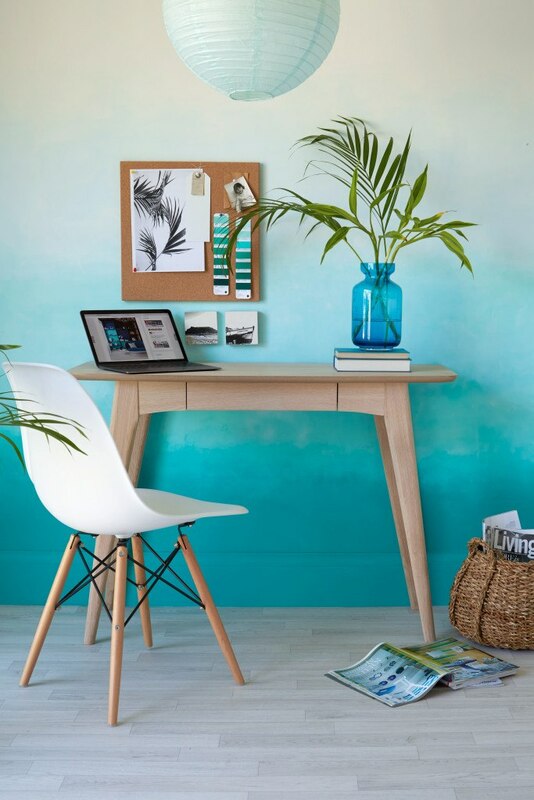 Win a Home Office Mini Makeover This Easter! To celebrate the launch of three new products this week, we are offering you the chance to Win a Home Office Mini Makeover as part of our Easter egg-stravaganza … (sorry, we had to!) Somewhere on the Danetti website we’ve sneakily hidden a tasty easter egg shaped treat. If you find it, head over to our Facebook page and tell us where it’s hidden. 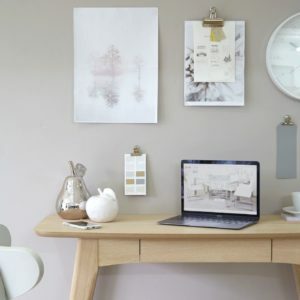 Alongside this, comment which new product you like best, either the Erin Matt White Set of 4 Box Shelves, the Scandi Natural Oak Desk or the Scandi Black Ash Desk for your chance to win your favourite piece! And that's not all… We are also offering the lucky winner an additional prize of an Eames Style Dining Chair or Senn Colourful Dining Chair in a colour of their choice. 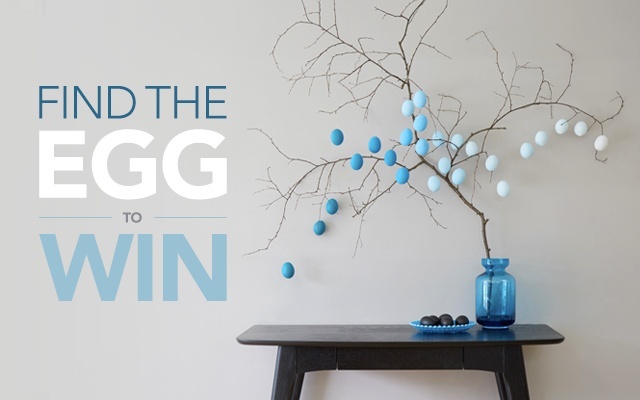 So whether you are after a sleek desk and chair combo or a set of gorgeous shelves to complement your walls, start searching for the egg now to be in with a chance to win! To enter our Easter competition, all you need to do is comment on our Facebook post the location of where our Easter egg is hidden, alongside which of our three new products you’d like to win. The choice of products are the Erin Shelves, Scandi Natural Oak Desk and Scandi Black Ash Desk. The prize will be the winners choice of one of our three new products, alongside an Eames Style Dining Chair or Senn Colourful Dining Chair in a colour of their choice. The competition will run from Monday 21st March until midnight on Easter Monday. The winner will be announced by the end of Wednesday the 30th of March and contacted by one of our team. The prize can not be exchange for money, store credit or any other product or service. If you prefer cube shaped stools to complement your modular seating arrangement, the Cube Seating Collection offers a range of flexible, fun and informal seating. Use it on its own to provide a small seating area in your office, shop, bar or other commercial space, or team it with other items from the Cube Collection for a customised solution. 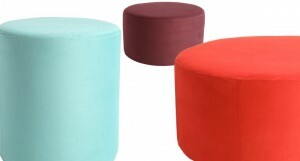 The cube stool collection comes in such a great variety of colours - with choices including tan, pink, zesty lime and royal blue, available in either faux leather or micro-suede finish. 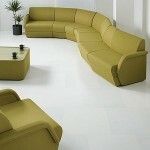 You can mix and match colours and textures to create a bespoke look, or go for a totally co-ordinated one-colour set. If you work from home or just want the kids to have a space to do their homework, creating a home office can be a great idea. We show you the furniture buys that will allow you to do it in style! 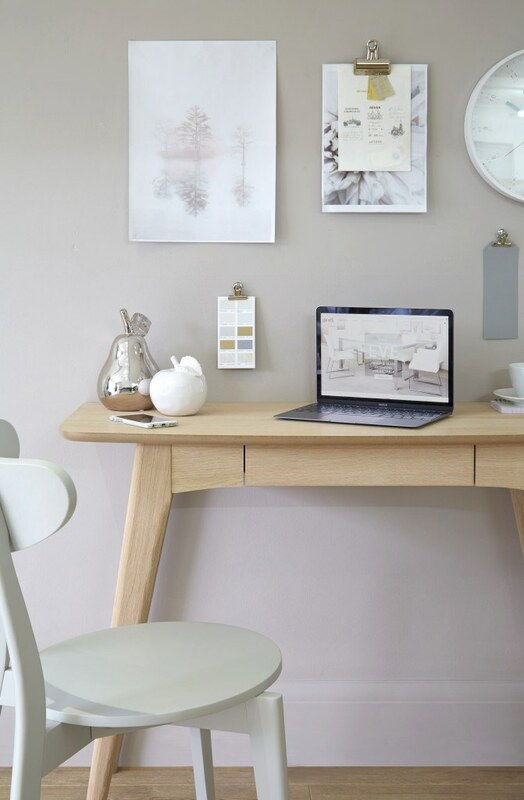 Whether you have just a small space in which to set up your home office - under the stairs, or in the corner of the living room, perhaps - or whether you've got a whole room or a garden office to furnish, Danetti has some great products to help you make the most of it. 1. 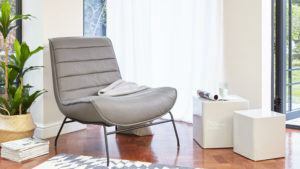 The Zap gas lift office chair is one of the best investments you can make for your home office. The chair that you sit in all day long can make a great different to your comfort, and your longer term health. If you've got a suitable place to sit then you're more likely to feel ready to work, and also more likely to sit down longer rather than finding excuses to get up. The Zap gas lift chair has a height-adjustable seat and arm rests, plus a deeply padded seat and even a head rest! 2. 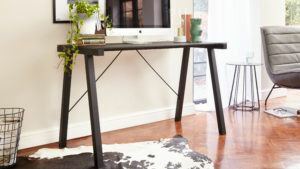 The Saya desk is often purchased as a dining table as well a s a desk - it's that kind of flexibility that you should have in mind when choosing your home office furniture. The Saya is extendible so is really useful if you have a couple of people needing to use the desk at the same time, or for when you have lots of guests for dinner! 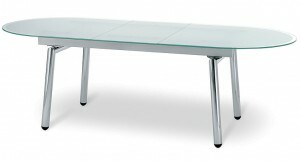 Added to this, the glass top is really elegant and will not clutter your home office up visually. 3. The Previl desk chair is a less elaborate desk chair - perhaps best for creating a home office in a little spare space such as under the stairs or in the corner of the living room or bedroom. This chair is great for using with any table to create an instant working area and the height-adjustable arms, seat and back mean you can make it fit any person and any table height. 4. The Santino square gloss cabinet is one very classy piece of furniture. It's perfect for having a bank of storage along the one wall of your home office, or if you don't have a dedicated room, it would also look amazing in any living room or dining room. You could even just use part of it for paperwork and office storage, and keep some storage space free for crockery, DVDs or whatever tends to clutter your home! 5. 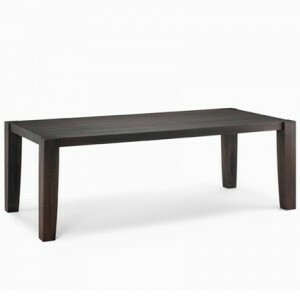 The Walther multiform table is one of our niftiest items. It's a coffee table, it's a desk, it's a dining table... it's SO useful. Position it in your living room and it's great for mugs of tea when friends come over,but as soon as you need to go into work mode, you can simply bring up the one half of it and hey presto - the perfect surface for your laptop! Turn your home office into the kind of room where you want to spend time - create a good ambience with easy chairs, pictures, candles and a bookshelf so you won't mind staying in there all day if you need to. Make an effort to keep your desk and office clear of junk and have regular clearouts, even if you're not naturally tidy. Get a good desk light to prevent eye-strain and make the room seem more inviting. If possible position your working space or office away from the road or other rooms in the house which get used frequently. Make storage a priority – sensible shelving and cupboards that will house box files – along with a desk that is fit for purpose and a comfortable chair. Ask an electrician to add extra sockets if needed, so that you can put the desk where you want and not be ruled by where the plugs are. Office spaces needn't be boring and corporate-seeming. With the use of bright colours and a little imagination, they can be places you'll actually want to be. We've styled this pink, white and black home office with Danetti furniture, and a few plants and accessories to show you how to get a modern look - whether you want to create an office for your home, or for a more formal, commercial environment. The psychology of colour is important in any room, but it's perhaps most important of all in a home offices. You have to think about how you want to feel when you are in your office space: energised, productive, creative, yes, sleepy, cosy or stressed, no. Well there are ways of using colour to help you get into the right mood.  For example, an office space painted or furnished in a stimulating yellow will keep its occupant upbeat and exhilarated, while a business-like deep blue colour scheme can aid concentration. Purple encourages creativity and lateral-thinking (although is also linked to day-dreaming). Red is at the bottom of list for office colour because it raises the heart rate and can become overpowering The most important thing is that you chose the right colour for the type of work you do. You should also consider the colours in the rest of the house. You may want your office space to stand out from the rest of the house so that you can keep the two areas separate in your mind, and there will be a clear cut-off when you finish your work for the day and go back to your ordinary living space. The main consideration is that your furniture is fit for purpose - that the desk and chair are a suitable height and that they allow you to sit and work in a way that's not going to cause you aches and pains. 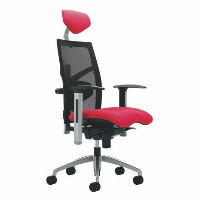 The Sweet office chair from Danetti (above left) has an adjustable height so you can make sure you're sat at the correct height for your desk and computer. 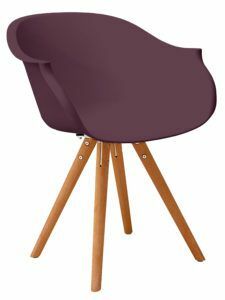 It's also great no matter what office colour scheme you go for - the back of the chair comes in seven eye-popping colours. Other chairs from Danetti include the Empire chair (right), which comes in a wood veneer, or a leather upholstery finish in a variety of colours. 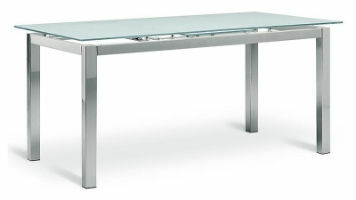 For desks, Danetti has a great variety, all of them contemporary and sophisticated looking. You could go for something cool and futuristic like the Lenda curved table (below), which would be great for working at, and also for holding impromptu meetings with clients. If you're after something made from natural materials then Danetti also has a range of wooden tables and desks including this Spirit table (below), which can double up as a dining table if you're entertaining. This is one of the great things about home office furniture - if you buy multi-purpose items then you can also use them when you're not working! * Make sure you get the lighting right. A strong over head light is recommended if you need to hold meetings in your home office. If not, then task lighting is the most important. At Danetti we have a range of lighting solutions, including some great statement lighting to give your home office a creative and original look. You can see it here. * Clutter can sap your energy, so invest in furniture that will keep everything accesible but out of view. The Santino four-door sideboard from Danetti (left), for example, is a really attractive and practical option. For other storage solutions, see our full range. * Plants and other decorative accessories add life and personality to a home, office, so don't be afraid to add a few quality shelves and display your possessions - just make sure that they improve the room, and never start looking like pointless clutter.